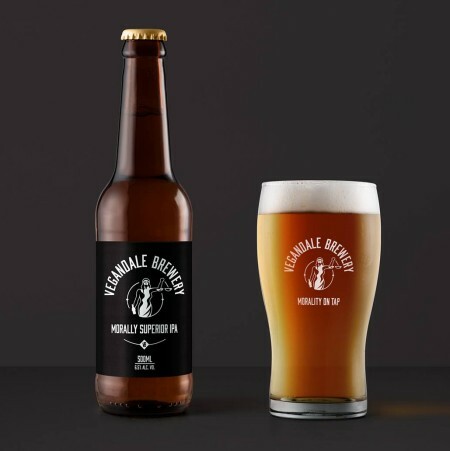 TORONTO, ON – 5700 Inc., the management group behind a several existing and soon-to-open vegan businesses on Queen Street West in Toronto’s Parkdale neighbourhood, has announced a vegan brewpub one of its upcoming projects. Vegandale Brewery – named after 5700’s nickname for the block – will be located in the space previously occupied by Duggan’s Brewery at 1346 Queen Street West at Brock. Duggan’s remains as basement brewery and bar, and brewmaster Michael Duggan will be producing beers including Morally Superior IPA, Principled Pilsner, See the Light Lager, and The Sour Truth for Vegandale, which will operate a 100-seat restaurant on a ground level serving beer-friendly vegan food. For more details, see coverage on The Daily Hive, and the Vegandale Brewery Facebook and Instagram pages.